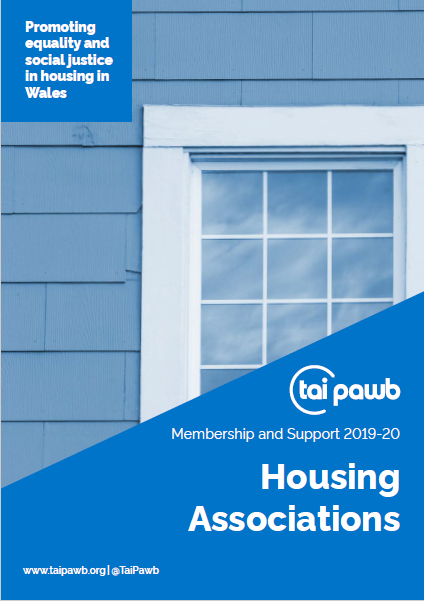 Tai Pawb has over 60 members made up of housing associations, local authorities, third sector organisations, community groups and individuals from across Wales. Our members are central to our work. Joining Tai Pawb demonstrates your commitment to equality and diversity within your organisation and offers significant benefits. Join us in our work to enable all people to have equal chances. Help us inspire people and communities to embrace equality and diversity. Whether you are an individual who wants to support our work or an organisation, we would love you to become our member. Do you believe that all people have the right to access good quality housing and homes in cohesive and safe communities? 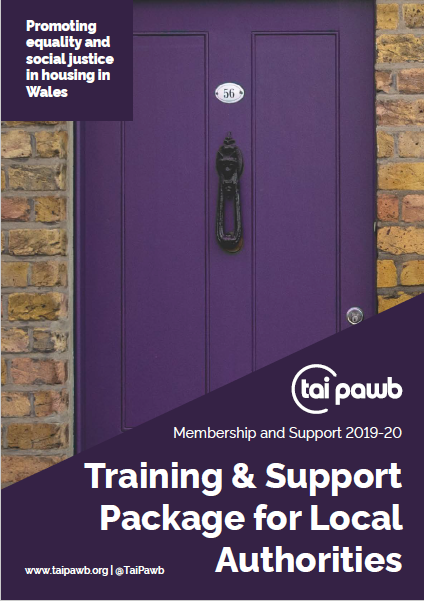 If you want to play a part in reducing prejudice, discrimination, disadvantage and poverty related to housing – become a member of Tai Pawb. As the only organisation to specialise in Equality and Housing at a Welsh national level, we’ve been leading the way since 2005. We are very grateful to each and every one of our members who have already joined us. The more members join us, the more we can do. Your membership is important to us. 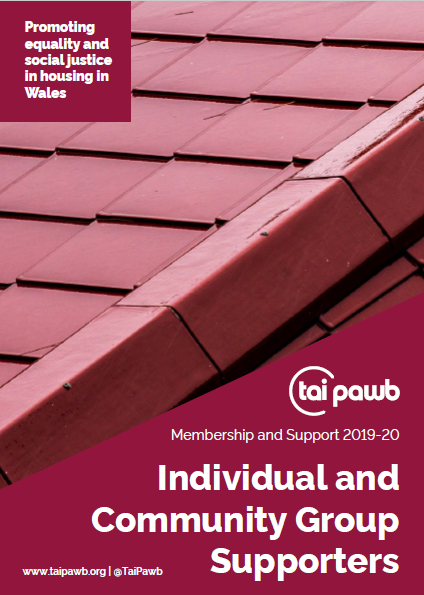 When you become a member of Tai Pawb your voice and support helps us influence and raise awareness of equality and housing issues leading to positive change. You also get a whole range of fantastic benefits which will support you and your organisation with anything related to equality. We will promote what you do, sharing best practice within the sector. It’s the need and concerns of our members that have shaped Tai Pawb and the support we offer. We have a unique insight into the needs of housing organisations and equality groups and this helps us connect people and their communities and bring about positive change. 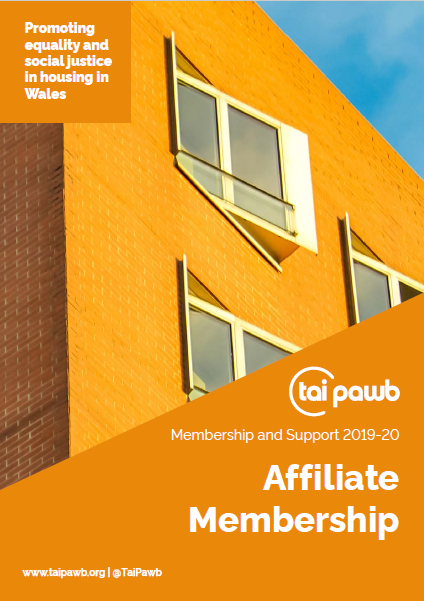 Or discuss becoming a member and find out more about the benefits for your organisation by contacting Helen Roach: helen@taipawb.org, 029 2053 7635. Your membership supports our work to influence policy makers to make housing policy fairer and act as thought leaders for the sector and beyond. 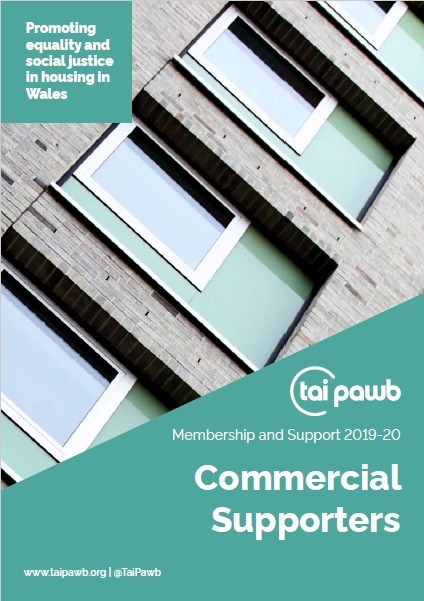 Tai Pawb members are at the forefront of our work by helping us develop our services to meet the sector’s needs and giving you the opportunity to pioneer our innovative ideas and solutions, putting ideas into practice. Over 25% discount for any of our training courses, whether off the shelf or bespoke for your needs. See our Training Booklet for more information. The below fees are indicative and may vary occasionally (for example where external suppliers are involved). However, the membership discounts will remain constant (25% discount on training and consultancy, and 20% discount on events).